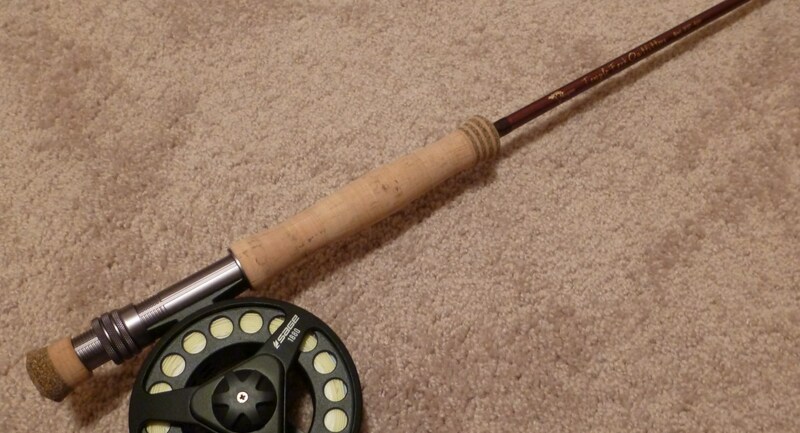 I think Temple Fork Outfitters is a bit misguided when it comes to tenkara...but damn if the TFO Mangrove Stick by Flip Pallot isn't one sweet fly rod. After casting a few different rods, and reading a lot of reviews, I decided this rod was to be my 8-weight of choice. Why this one? Well, I'm not going to "put down" any other rods in particular, that's not really how I roll. But clearly the Mangrove didn't win on looks...no fancy carbon fiber reel seat...no space age grips (athough the contrasting rings at the top of the cork grip are handsome)...and in typical TFO fashion I didn't buy it for the rod tube, because TFO rods don't come with 'em...rather it all came down to feel. I realize it's only gone through some lawn casting paces, but at this point, I honestly couldn't be happier. Sometimes things just feel right. But I know the real test will only come once it's broken in on some fish. See you on the water this weekend! The TFO Mangrove Series Fly Rod covered in this product review was bought with my own stinkin' money from Feather-Craft for $249.95. I don't have any relationship with TFO at all, and based on my affinity for tenkara, I should actually have a negative bias toward them. Regardless, the point of all that blabbering is that this "First Impressions" review is fairly unbiased and I wasn't given free stuff to write nice things. Although I won't stop you from sending things. FTC disclaimer requirement satisfied. I'm interested in casting the Mangrove series, too. Thanks for the initial thoughts, looking forward to reading you giving it a thoroughly going-over! I just picked up the Mangrove 10# It is fantastic at the distance and dealing with about a 15 mph wind. I wasn't as impressed with the short game. Where I am at sometimes you have all the room and other times not so much. I prefer my Sage over it but I will give it a close very close second to the Sage.